Supplies, control and regulate the DC motors (separated excitation, series and parallel), which equips electric drives used in off shore and land drilling, traction drives, pump drives, etc. Powers squirrel cage induction motors that fit a wide range of industrial applications: drive, fans, conveyors, pumps, circular saws, mixers, separators, centrifuges, machine tools, compressors, roller ways , filling machine, propeller wind tunnels, test benches etc. 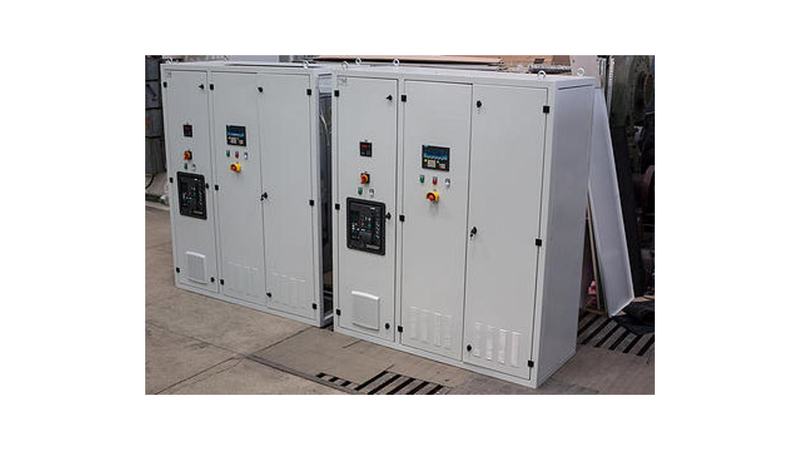 (variable speed drive and motor torque limitation). The variation of engine speed is obtained by simultaneous variation of the output voltage and frequency.